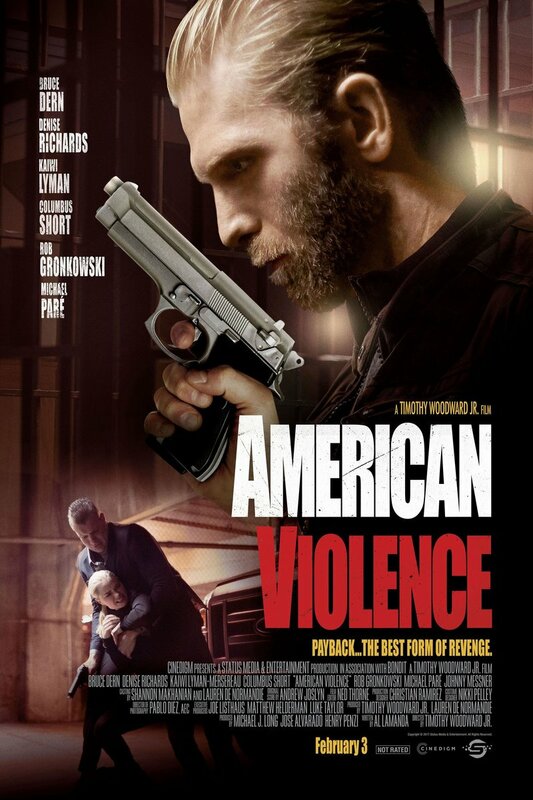 American Violence DVD and Blu-ray release date was set for March 14, 2017 and available on Digital HD from Amazon Video and iTunes on January 3, 2017. All throughout the world, psychologist Amanda Tyler is known for her brilliant insights into the human psyche. But the case of Jackson Shea perplexes even her. Upon the eve of his execution, it is up to Dr. Tyler to help make some major decisions concerning his fate. With this man's life now on the line, it is imperative that she make the right call. But there's a blurry line between right and wrong sometimes, and Shea's case will test the very limits of any preconceived notions she may have.